If you are in recovery, it may feel like no one else is in the same boat, especially if you’re young. However, if we know anything about addiction, we know that it is incredibly wide-reaching. In fact, it is estimated to impact about ten percent of the population. That’s why it is so important that addiction, and recovery, be represented in the media- and be represented correctly. We certainly know that substance abuse can be misconstrued in the media through glamorizing and rationalization, but luckily there are some books, movies and more that provide an accurate portrayal of what it is like to be addicted to drugs- and what it’s like to get clean. One of the irrefutably best books about recovery is a memoir called Dry by author Augusten Burroughs. Burroughs, who achieved memoir success with the popular book Running With Scissors, strikes again in this accurate depiction of addiction, recovery and relapse. With his trademark wit and laugh out loud humor, Burroughs paints the story of how he developed an alcohol abuse disorder and how his co-workers insisted he be sent to rehab. After rehab, Burroughs describes the trials and tribulations of early recovery in shocking accuracy. Furthermore, Burroughs describes a painful relapse, but writes without pretense, judgement or dishonesty. The book is a look not only at the (recovering) addict themselves, but the relationships they have with those around them and how alcohol abuse can alter, and strengthen them. Another popular book about addiction is called A Million Little Pieces. 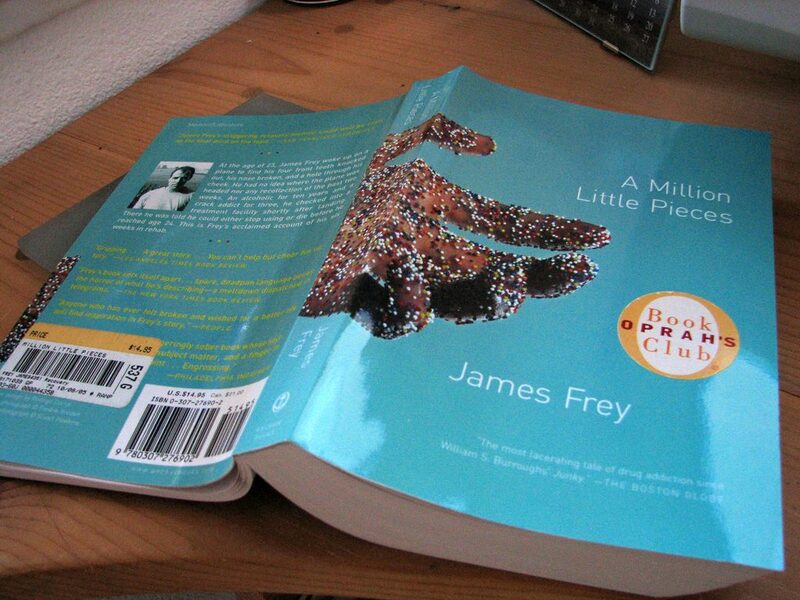 Told in a heart wrenching furious manner, a Million Little Pieces entails the journey of the author, James Frey. However, after parts of the book were later found to be untrue, the book changed from a memoir to a novel. While there was a lot of outrage over this perceived inaccuracy, whomever the story describes, it speaks pretty truely of the struggles and emotions experienced in recovery, and in treatment in general. In treatment, Frey suffers through a root canal without pain medicine and the trials and tribulations that accompany falling for another addict in early recovery. As far as movies, there are also a lot of good options that reflect addiction and recovery. One popular choice is 28 Days, starring Sandra Bullock. In it, Bullock stars as a hard-partying city girl who inadvertently ruins her sister’s wedding by being messed up. She then enters a 28 day rehab. At first, she is skeptical of those trying to be sober, but after falling out of a window in an attempt to grab pills, she begins to consider the fact that she may need to. However, the journey to recovery isn’t so easy or straightforward. While movies and books are a good source of inspiration, they can’t be the only tool in your toolbox in terms of recovery. This is where addiction counseling and intervention specialists come in. Recovery Care Partner can help you source the recovery counseling and guidance you or a loved one may need.